I’ve always loved reading but my only brush with African/Ghanaian writing before I joined the Golden Baobab team was with a small, green, African poetry book that had brown pages and roughly cut edges. My love for books in general is, in part, the reason I work at Golden Baobab. I believe strongly in the organization’s vision of a world filled with quality, culturally relevant African children’s stories. I contribute to this vision in my role as coordinator of the Golden Baobab Prizes by spearheading the search for the very best African writers of African children’s stories. I believe every child should have access to books that will make them fall in love with reading. My reading journey started out very slow and bumpy. My mother taught me how to read using Twi alphabets. I don’t know how she came up with this idea but it obviously worked. Ms. Dickens, my class two teacher out there in the UK, who coincidentally had many Twi books, took an interest in my reading and decided we would have daily lessons. We would go through a page or two of a Twi book and she would carefully pronounce each syllable and I would repeat what I heard. We would then switch to a children’s book in English and take each word just as slowly. I don’t know how much time passed before I could read on my own and started to devour every book I could find in the school library or at home, but suffice it to say, I was in love. What’s strange to me is that I grew up reading all these amazing storybooks but never came across any from Ghana or Nigeria or Kenya. I wish I had had books that depicted little girls with afros wearing African fabrics when I was younger. Perhaps then I wouldn’t have begged my mother to perm my hair so that I could look like the girls in my books or those at school. And maybe when she insisted I wear my Kente to church on Sunday I wouldn’t have cried because I thought I looked different which to me, meant I looked ugly. If I had been introduced to Ghanaian culture through the books I read as a child, there are so many things I’m certain I would have proudly and quickly embraced as my own. When African children read, I want them to read not only for knowledge, but for adventure, for pleasure, for self-discovery. I want them to see themselves in books and feel pride for who they are and where they come from. To provide them with books that will ensure these things is one of the most important things we can do for them as a continent. To provide them with these types of books is also why Golden Baobab exists. To get us closer to doing this, we will soon be launching a new pan-African illustrator prize to discover, nurture and motivate African illustrators of African children’s stories. What do you get when you put the very best African writers and illustrators of African children’s stories together? The very best African children’s storybooks! 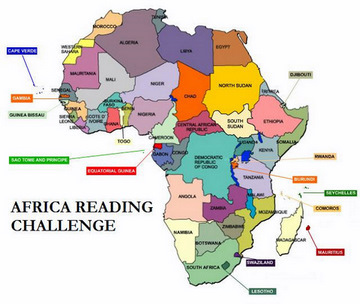 As we celebrate Ghanaian Literature Week, ask yourself this: “what are Ghanaian children reading this week? What are MY children reading?” Let’s think of the different ways we can develop and promote Ghanaian and African literature, especially African children’s literature. Reblogged this on My Blog WorldsChildren.wordpress.com. 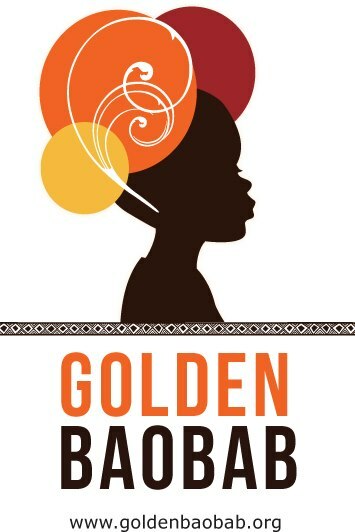 I’m a huge fan of Golden Baobab and the work they are doing for African kids’ literature. Great post by Nanama. My parents overloaded us with books, not that I’m complaining. From the start I can remember getting books a gifts. It helped that they were both teachers and loved to read. I owe my love of books to them. It fosters the imagination and thinking.